I’m Clara (Polito). I’m 21 years old and live in New York. 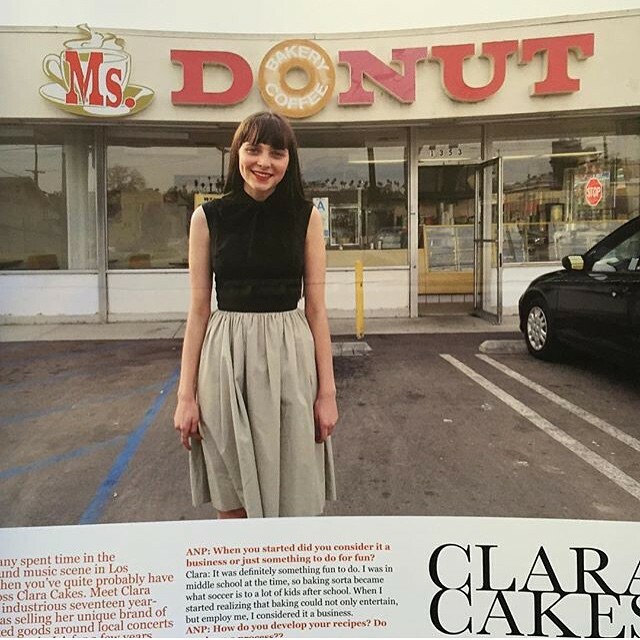 I’m the author of Clara Cakes: Delicious and Simple Vegan Desserts for Everyone! I write recipes and produce + host cooking videos. 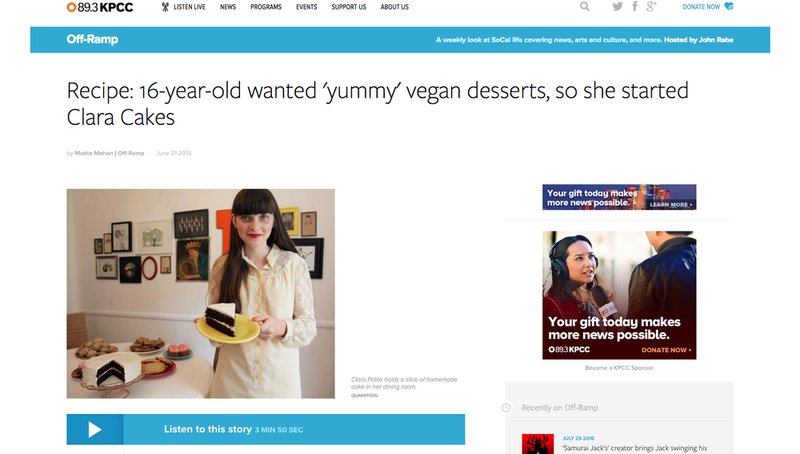 I’m also available to bake your birthday cake and cater your dinner parties. 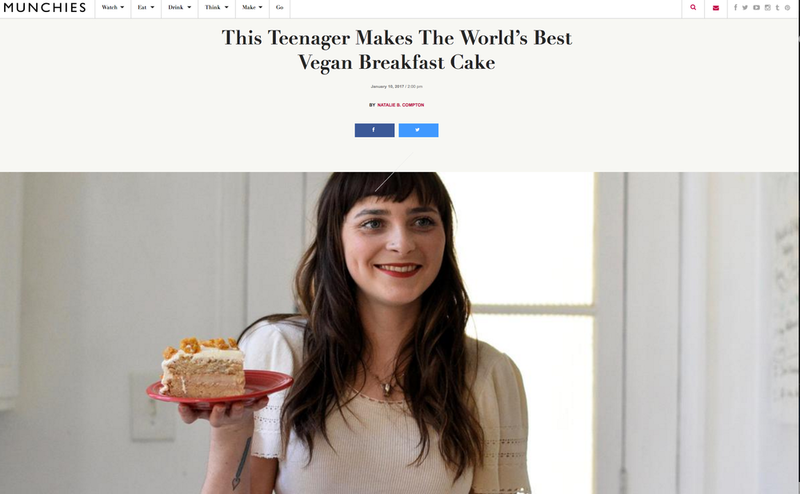 I’ve written for Teen Vogue, Tastemade, Marie Claire, The Wall Street Journal, Domino, ROOKIE, Vans, and more. 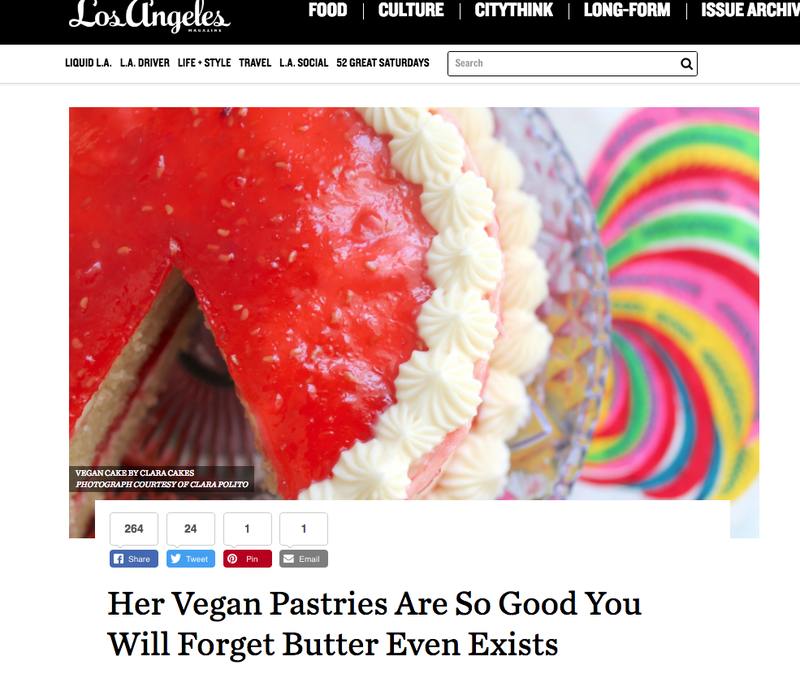 I taught myself how to bake when I was 12 years old, after becoming vegan. It was around the same time I started going out to shows in my hometown of LA and becoming music crazed, so the two interests merged into a dessert stand at DIY and punk shows around town. I’ve hosted Italian dinner pop-ups in Michigan, Ohio, New York, Las Vegas, and Los Angeles.